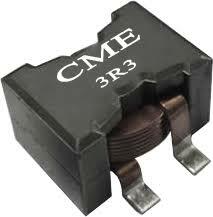 Designed for high current, low voltage power supplies . Magnetic shielding structure, Excellent resistance to electromagnetic interference . Flat wire windings provide exceptionally low DC resistance , Halogen Free , 100% lead ( Pb) Free and RoHS compliant.